Cheap 1080P IP Cameras by Amcrest, Foscam and others. Foscam.is an independent United States based distributor of “Foscam” branded products. The US Foscam company also sells Amcrest branded cameras. The operation and commands are similar. The model I’m using is the IP2M-841W. I paid about $70 for it on eBay. The Ascam Pan Tilt Zoom (PTZ) models can be purchased for about $100 new. Instead you’ll need to “Add Web Stream” by clicking the [+] button at the bottom left. You’ll need to authenticate ONCE, but Wirecast will remember the authentication after the first time. After you’ve authenticated (first time only) click the “connect” button to make the camera image appear. 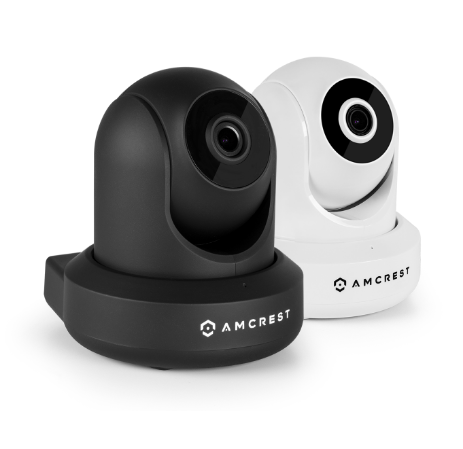 Your information on use of the Amcrest IP camera was helpful but I find that Wirecast version 7.4.0 (30180) does not remember the ip camera credentials and a re-authentication has to be done every time the application is launched. The Wirecast “Source Setting” image shown on your page (dated 01-22-2017) no longer exist in wirecast. That I believe is from an earlier version. Have you tried your example with the latest version of Wirecast ? 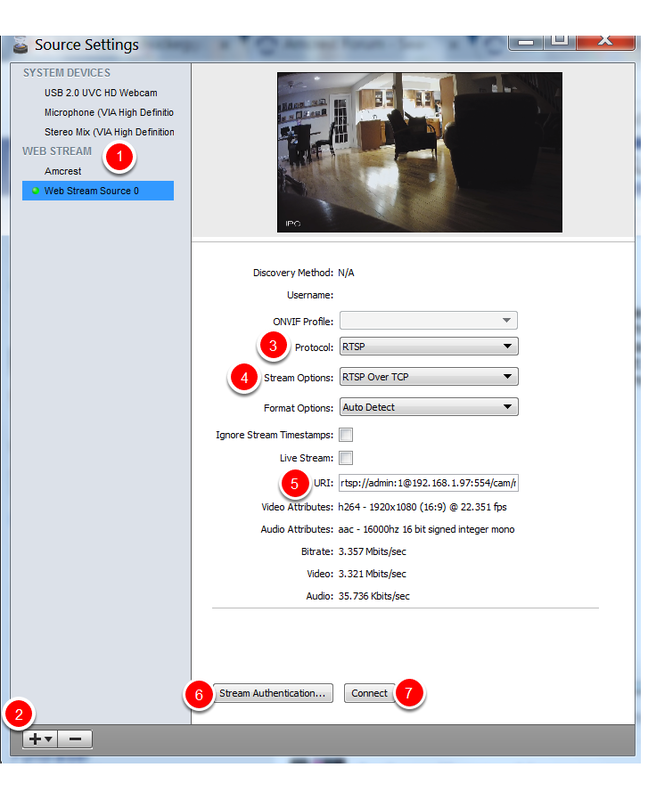 You are correct that Wirecast doesn’t save IP camera credentials. This short-sighted decision by Telestream makes it difficult for our volunteers to use Wirecast successfully, However, read all the way through for a workaround. Telestream replied to my inquiry about not saving authentication with this unacceptable reply: “With IP cameras, the ONVIF information wouldn’t be saved due to security reasons. If you didn’t want someone that was using your computer, running Wirecast, to access those cameras, we wouldn’t want them activating them. So that authentication wouldn’t be saved.” My reaction: hogwash. The user should make this security choice, not Telestream. 2) Unreal Media Server will remember IP camera credentials and will connect to your IP cameras whenever your computer is started. 3) Use the Unreal Media Server stream addresses for your Wirecast camera streams, which will no longer require authentication. I’ll write more detailed information in a few days.